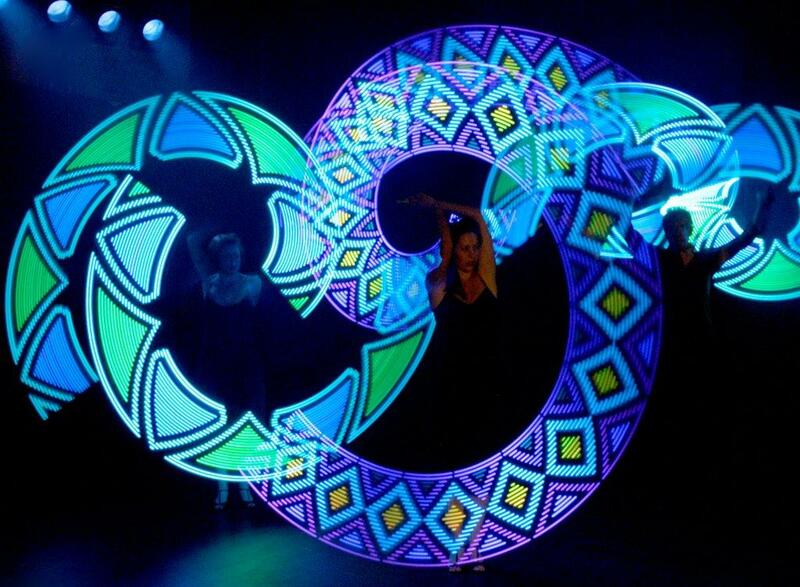 Drawing on their popular show, Flux, a larger, more visual and even more stunning performance has been created. 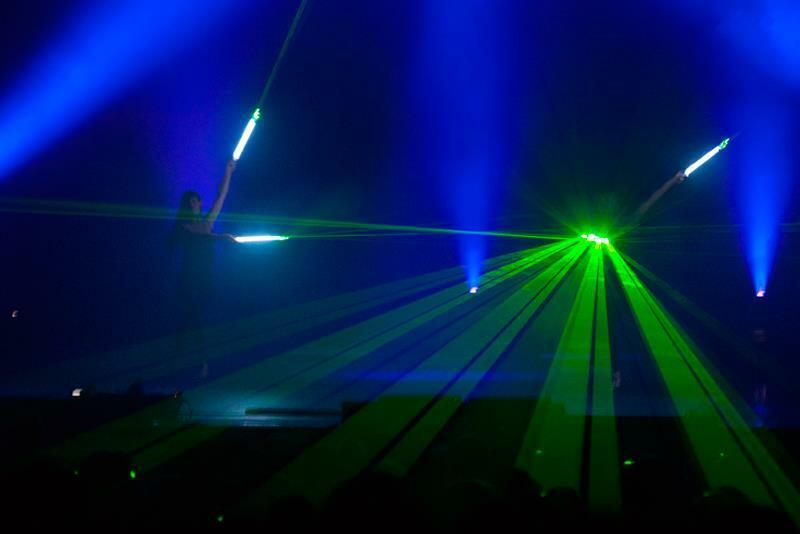 Kaleidoscope is a strongly choreographed combination of dance, laser manipulation and Pixel-Poi, performed by three dancers to a movingly upbeat classical-fusion soundtrack. 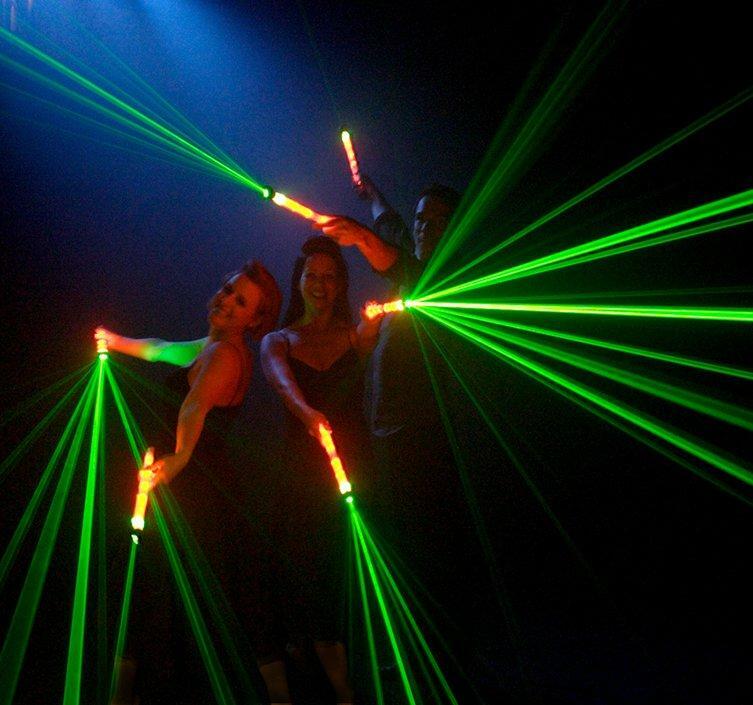 This entertainment is visually stunning and the entertainers who perform are professional and really know how to make an impact at any event they do. 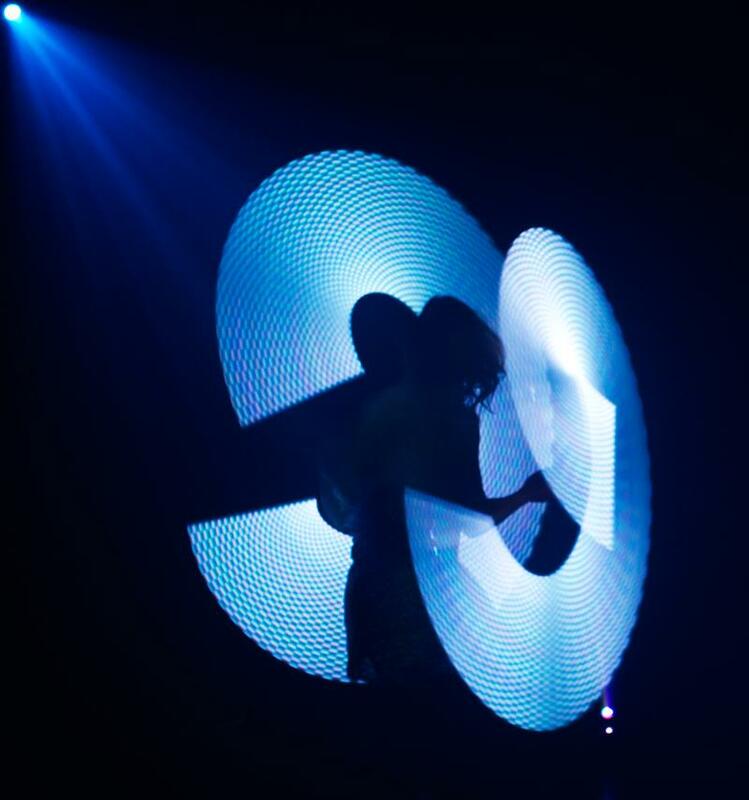 The equipment (patent pending) is uniquely designed and built on request can be specially programmed to display a client’s logo, colour-branding or choice of text at the high point of the Pixel-Poi finale. 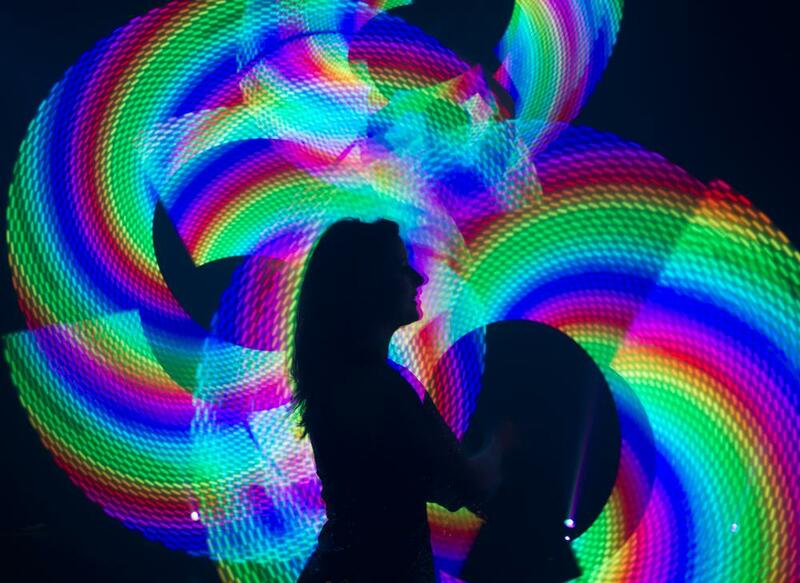 Pixel-Poi are highly visual illuminated LED batons manipulated in performances by the performers. 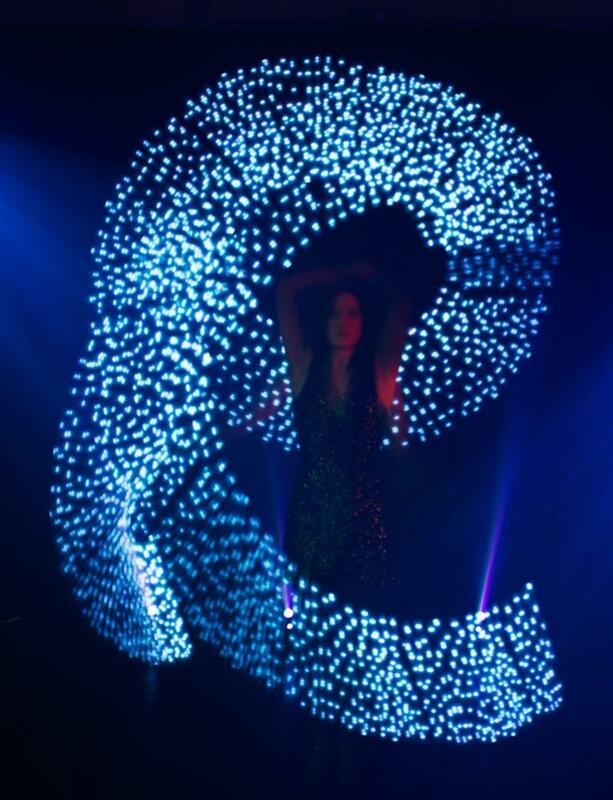 We developed Pixel-Poi ourselves and they are completely unique (patent pending). 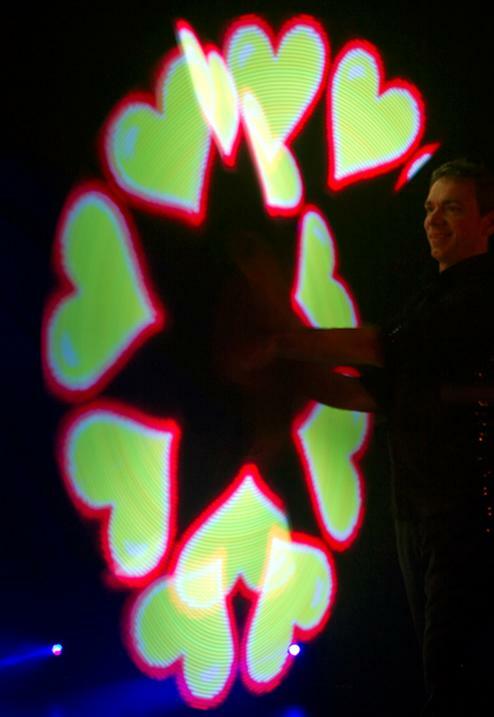 Second generation Pixel-Poi are incorporated in both acts Flux and Kaleidoscope. The displayed images now have a higher definition, dozens of colour shades and multiple words can be programmed to appear simultaneously. Kaleidoscope premiered in early June 2008 and has already been performed at a number of high profile events including the Piramal Healthcare Awards in Thailand, the Salle Empire in Monte Carlo before Prince Albert of Monaco, at the opening party of the ‘Queens of Egypt’ exhibition for the Egyptian Ambassador to France, in Lyon’s historic Salle de la Bourse, for Volvo’s ‘3P’ international management event and in Istanbul for the regional launch of the Grundig brand. 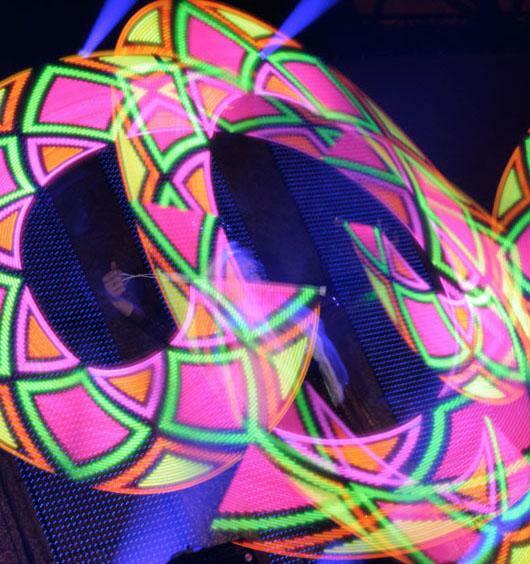 Second generation Pixel-Poi are now incorporated in all performances of Flux and Kaleidoscope. Alongside the capability to make an almost infinite variety of breathtaking patterns, they can display far more accurate representations of logos or graphics than ever before. Pixel-Poi images now have a higher definition, dozens of colour shades and multiple words can be programmed to appear simultaneously. We all thought that they were marvellous and the reaction from the crowd, punctuated what was a truly great performance.They were great to work with and I look forward to working with them again should the opportunity arise. I wanted to thank you for an incredible performance last month. You were a huge hit and everyone absolutely raved about you! ‘Incredible, unforgettable, mind-blowing, staggering, so original, imaginative, outstanding, inventive and just like being in Ibiza’ were just some of the comments caught on video!! Thank you both again. It is a fabulous show – definitely a highlight and something that people will never forget. Considered to be one of the most entertaining, exciting and vibrant performances of the night, with many guests commenting on how much they enjoyed it – so much so that people still talk about it today! 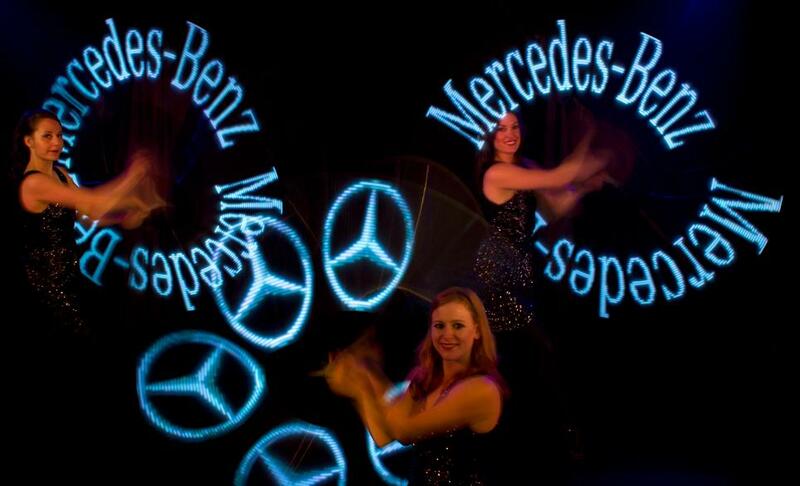 Thanks again for your professional attitude – it really did help to make the night special. 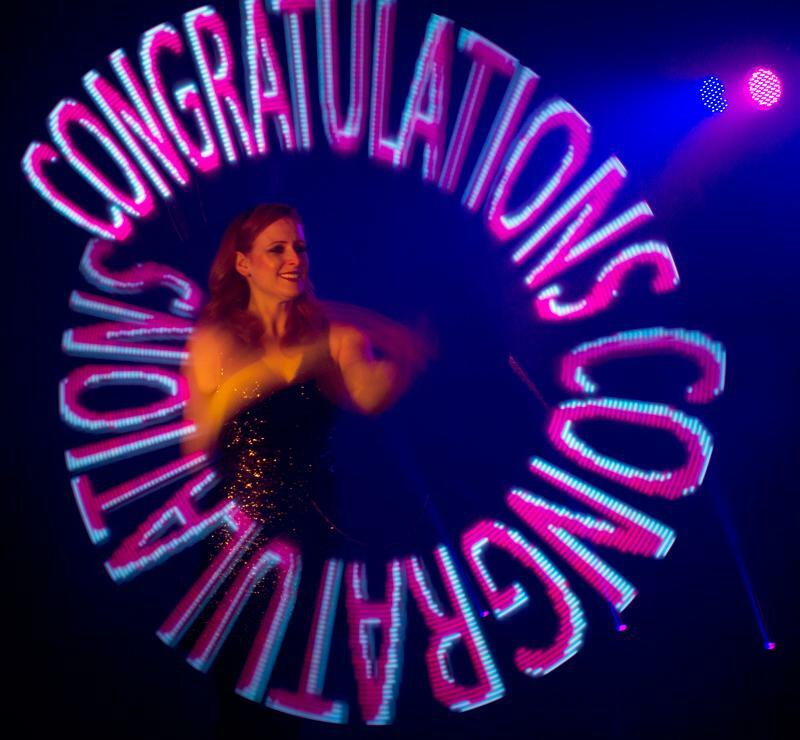 I want you to know that the overall outcome of our event was in one word “fantastic” – The client was very satisfied… the Kaleidoscope number was unique and fun to watch…Thank you again for everything Archie. I will be more than happy to recommend your company to all of my colleagues. 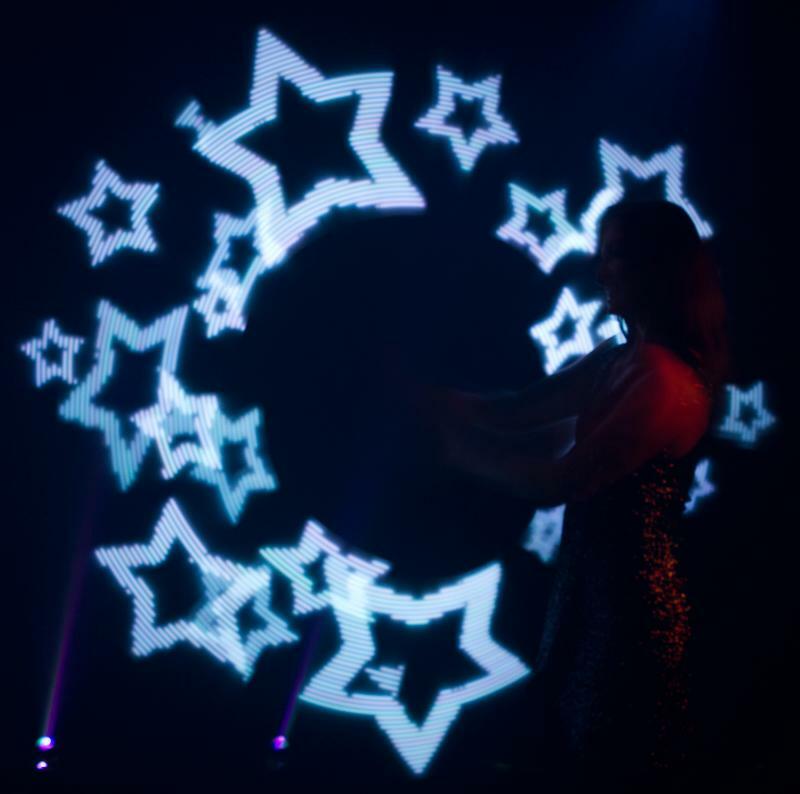 The performers were all great – Kaleidoscope were amazing – such great feedback on them…Thanks so much for your help with this event though – I really appreciate it. 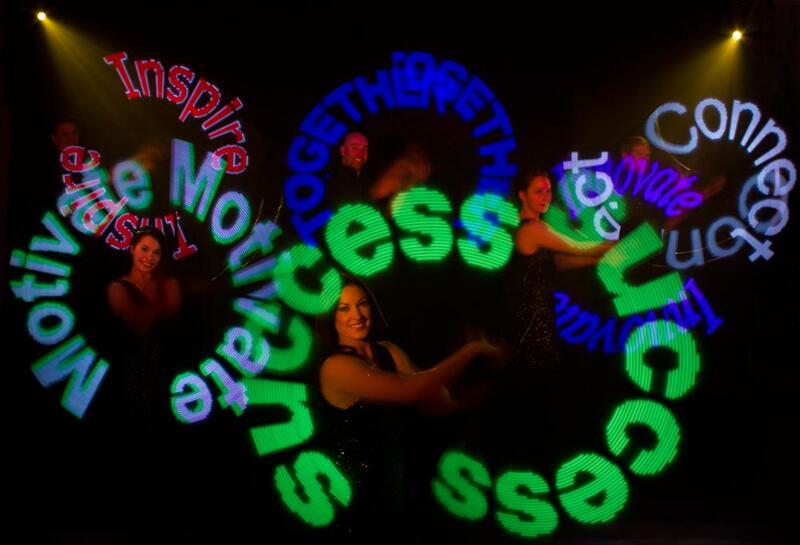 My client is very happy with how the event went and I have some great feedback. I definitely look forward to working with you again in the future. 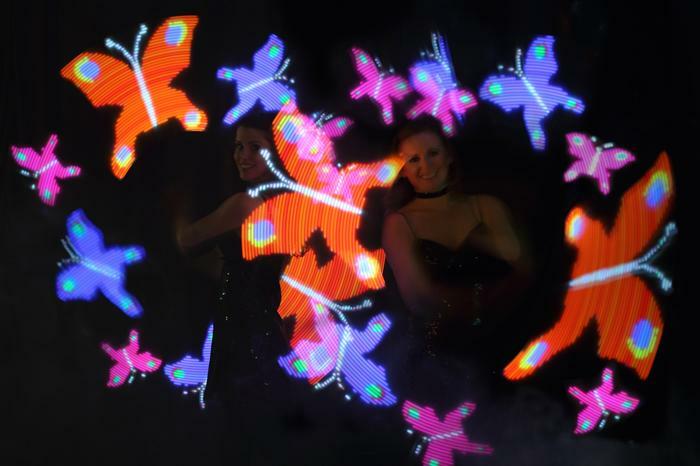 Please will you pass on my sincere thanks to Kaleidoscope for their very special light and dance show at our Gala Dinner last night. It was such an unusual act and really created an impression. And it was very exciting to see how our logo gradually appeared! Our Manager from China was amazed to hear music which she recognised as coming from Central China! First of all, I want to personally say a ‘huge thank you’ for your outstanding work and support with our party for Jagex last December. 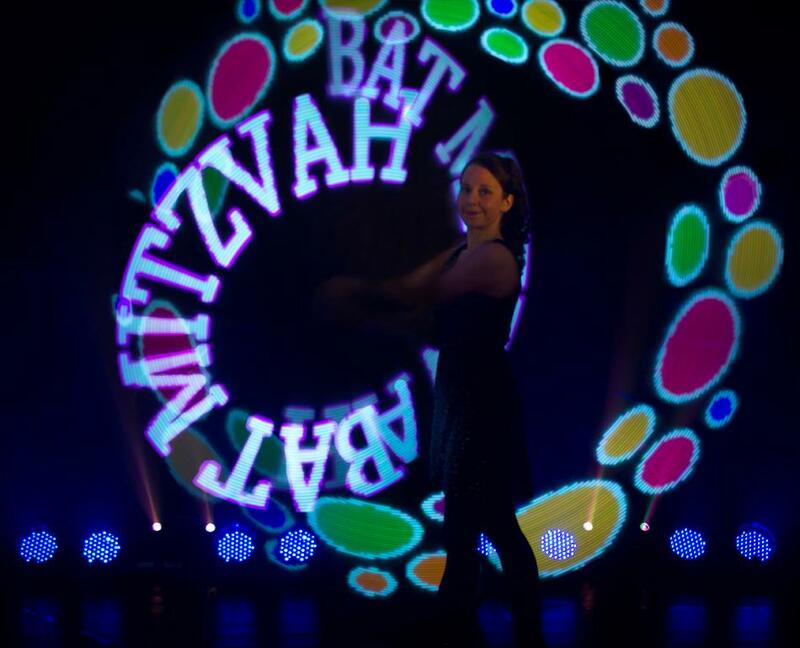 You and the performers were amazing and the event was a great success…I really hope to be able to involve you again. 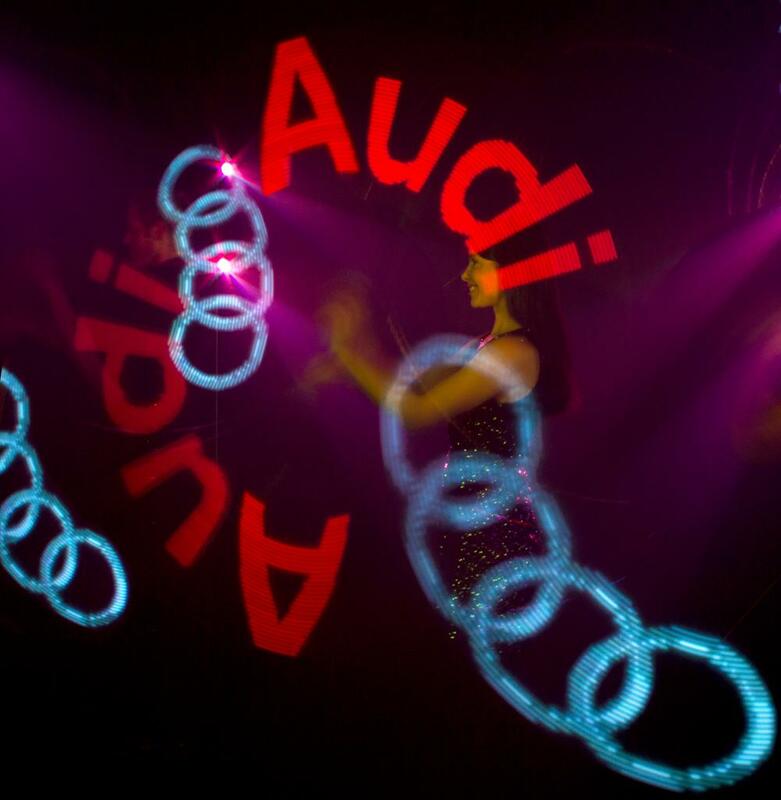 We were extremely pleased with the performers last week – they were absolutely amazing and much better than I imagined! Please pass our thanks on to them as I did not have a chance to see them before they left. I was very impressed with the act. The act was breath taking. 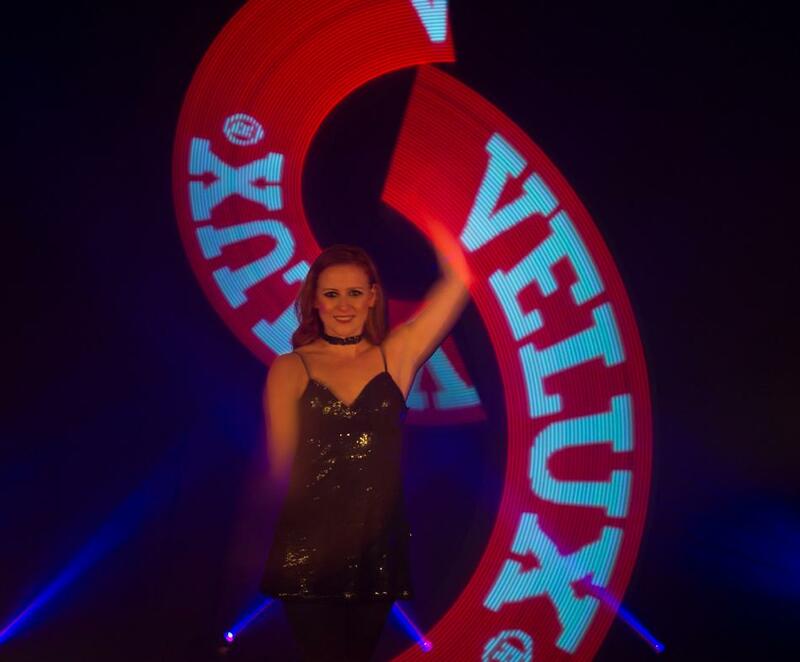 Both acts were brilliant – highly professional and exceeded all our expectations. Absolutely brilliant – cant wait to see them again. Thank you so much. Truly spectacular and very nice people! Wonderful working with them……Thank you so much!